Morning Peeps, it's a lovely sunny Autumn day here and hope it's the same your way. A very quick post and not much writing as just had my annual retinal screening which means all blurry for a few hours so just a short explanation for these two cards. Alex and Zoe dropped the boys off before they flew off to Frankfurt for the marathon at the weekend and she left a little note in my craft room saying she loved the scene below and how she would love to have a log cabin there. So that led to the top card as a well done on their race achievements. Stamps are a mixture of Stampscapes and Sutter and mountains created with a torn paper mask and Pan Pastels. 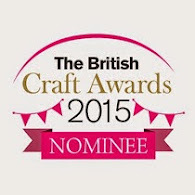 Before I tell you about this weeks Allsorts theme I would like to share some news, I'm still pinching myself and in shock and thought it was a send up but apparently not and I am one of the lucky nominees in this years Craft Awards. 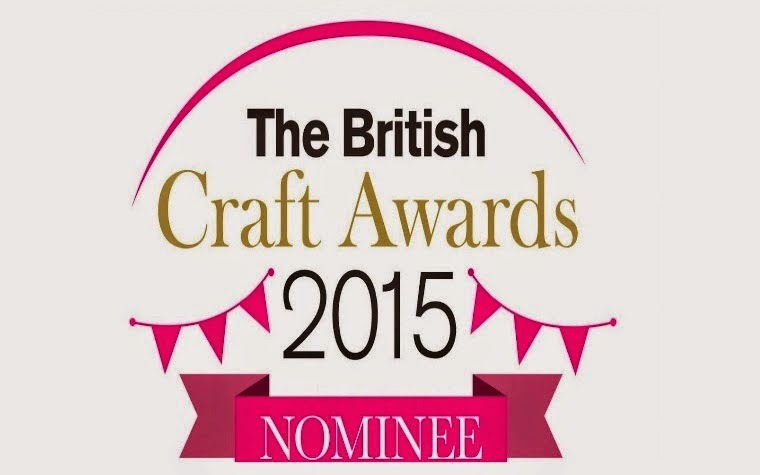 I feel very humbled to be on a list with so many of the well known names in the crafting industry who are amazingly inspirational and although I know in my wildest dreams I will never make the final cut it is still so surreal to have even been nominated and I am most appreciative. Morning Peeps, it's Saturday so that mans a new challenge at Allsorts and this week it's my turn to host the challenge. Our sponsor is Cuddly Buddly and to tie in with the release of their new Christmas stamps I have selected the theme of 'Just Christmas'. My first card is just a bit of the usual inkiness using masking tape to create a central focal area which I inked with Adirondack inks black, eggplant and denim and stamped Penny Black Winter Ledge, a few more birds from the new Natures Friends PB unmounted set and I added some berries using silver glitter and finally a Penny Black sentiment. For my second card I have stepped outside of my comfort zone again and done some more colouring ........not too much mind you.......using my new Chemeleon pens which I have to admit I am rather enjoying. The image is from our sponsor and called Snow Family. I cut round the top of the snowmen and layered onto a piece of acetate which I then placed over a snowy background created with a mask and Pan Pastels and a stamped Santa and sleigh. I used my old favourite holly embossing folder which I lightly dusted with Pan Pastels and matted onto a tent style card.................not convinced that's the right name but they are easy to make with a score board. Note added Saturday morning to scheduled post: Is anyone else having the same problem as me, I've had no reading list for two days ? Tried all sorts but it just doesn't want to show me the blogs I follow or the new posts from them - I'm totally in the wilderness ! Morning Peeps, it's Saturday so that means a new challenge at Allsorts where Helene wants to see some 'Embossing'. Our lovely sponsors are Crafty Devils and FlonzCraft. Two types of embossing on my card, FlonzCraft Girl with Dog stamp which is heat embossed with detail clear powder and the background embossed with an A4 folder which has to be one of my most used, some Graphic 45 DP's, pearls and that's about it really. Morning to you all, how's your weather ? It's been pouring here all night and no sign of giving up yet and the heating is a must today. At long last I have some photos of the anniversary cake I made for our daughter and son in law for their surprise party a couple of weeks ago. There had to be pink lilies and ivy to match her flowers and wedding dress which was also pink, the colour she wanted right from a little girl. It's years since I did any sugarcraft as I gave it up when MS took over my fingers and it became too much of a worry with orders to complete and fingers that didn't always want to work. But having trawled around for a decent ready made cake and finding nothing that really appealed or otherwise cost a fortune I decided to get my fingers working again. I won't be making a habit of it mind you as it did take me ages to perfect all the flowers but I was fairly happy with the end result. 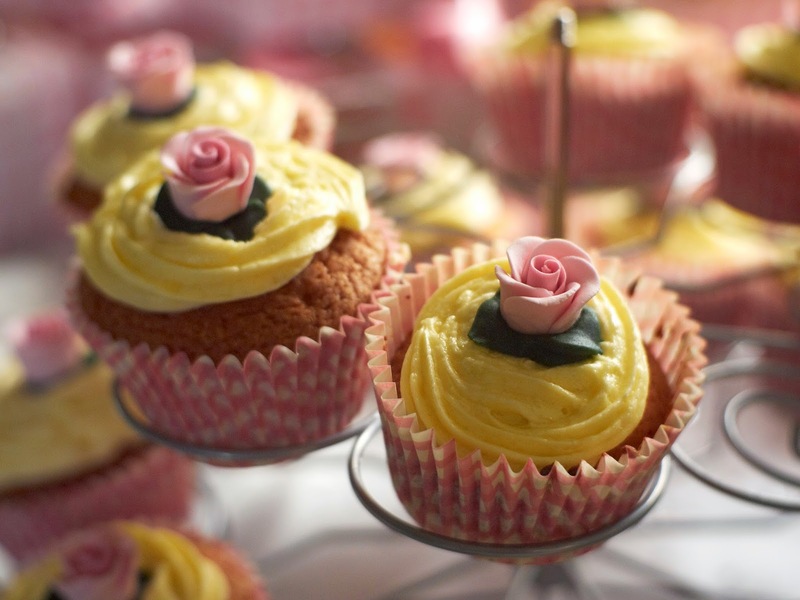 Good morning Peeps, it's not my normal day for posting............not sure what normal is mind you.......but I would like to share some exciting news with you about the candy events we are hosting over at Penny Black and More challenge. 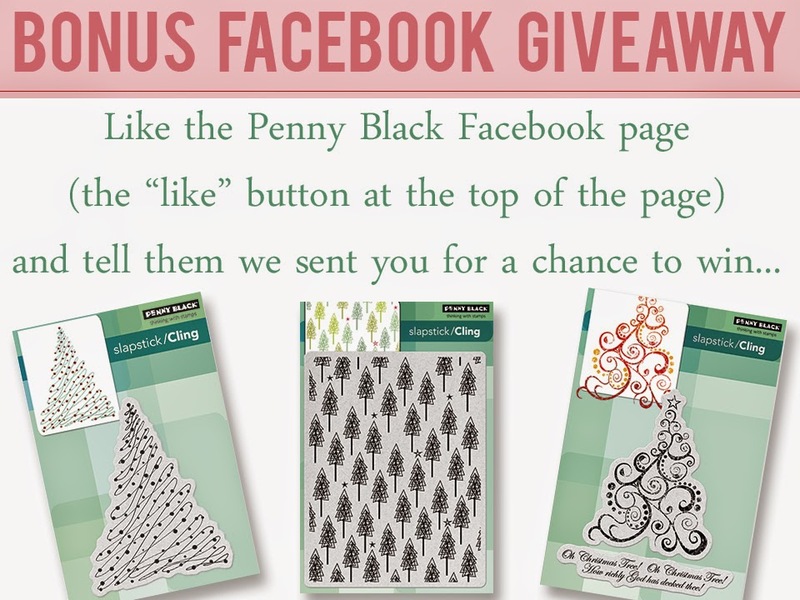 Be a follower of our Penny Black Challenge blog. 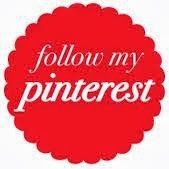 Add the candy logo above to your own blog with a link back to the Penny Black and More blog to help us spread the word. Register for free with the Penny Black Club - essential for all us Penny Black fans as we are among the first to know about new releases, news from Penny Black and so much more. Leave us a comment on the challenge post. In additional the Design Team have extra goodies to give away on their own blogs and a winning name will be selected from each on 26th October. Here are the links to their blogs so please do pop along to visit them to be in with a change of winning their prizes as well as those on this post. Post the photo below on your sidebar with a link back here. There is one more card I wanted to share as I have been doing some colouring in this week.............I know shock horror as I just don't do colouring or should I say can't, hence my usual inky grungy scenic crafting, which I obviously thoroughly enjoy but the ability to colour an image occasionally has always lurked. However I have some new colouring mediums which I aquired purely by chance, let me explain. I saw a very quick glimpse of a C&C programme last weekend and the display cards caught my eye as they were mostly Penny Black images, so being nosy looked for a repeat of the show and put it on to record. All made sense when I saw the demonstrator was Cathy Andronicou who many will know from Penny Black. Well Cathy was demoing the new Chameleon pens and I was totally fascinated, so much so that by the end of the programme they were on order...............oh the joy of a tablet by your side. Well I have to say I am totally blown away by them and I am finding myself actually wanting to colour in, it is the first time I have ever been able to say that in the twelve years or so I have been crafting. Moreover I am actually relatively happy with the finished results so far, there are obviously improvements to be made but I do I do believe I will be able to prefect a passable coloured image very soon. Naturally I started with Poppies and a have a couple more I will share very soon and who knows I might even managed to colour one of my very neglected hedgies or sweet little PB girls before long, won't that make a change from paper piecing I hear myself say. OK, enough of my gabble and if you are still with me I hope you will join in over at the challenge blog as I think it going to be a fun fortnight. Morning Peeps, it's Saturday so that mans a new challenge at Allsorts our our Jo has chose a colour challenge for us this week of 'Cream and Brown. 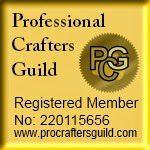 Our sponsors are Crafty Ribbons and A Passion for Stamps. I really enjoyed making this one using Graphite 45 DP's, a really old wood mounted Judikins wheat stamp which I stamped twice and uses a stencil and tea dye ink to randomly sponge the background. The die cut wheat is made with an Obsession Impression die and some ribbon and lace to embellish. And another I equally enjoyed making using Ruth's Clematis Montana image..............artistic licence when it comes to the colours ! Graphic 45 DP's again, some stenciling in the background and paper piecing the image with a touch of Wink of Stella on the leaves. Is it me or is Blogger playing up today ? I posted this one earlier and it just wouldn't show up on my blog or dashboard so having another try, think Blogger might have his usual Monday blues. It's the first Monday of the month and time for a new challenge at FlonzCraft Vintage Stamping Challenges where our October theme is a colour option 'Orange, Red, Black, Green or Purple' it's your choice one, two or all of them. As always there is a great prize from FlonzCraft. I have used another of the Girl with Dog silhouette images, Graphic 45 DP's, lace, Heartfelt flowers and pearls going with the Orange and Black option, that wasn't actually where I intended going but sometimes it doesn't turn out as planned. Hope you will join in with us this month. 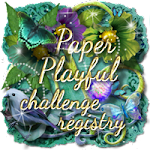 Time for our monthly challenges at Stamping Sensations and Penny Black and More where our themes are 'Warm Autumn Colours' and 'Get Ahead for Christmas'. Plus don't miss the news further down about a great Penny Black candy giveaway next week. So onto my cards and this post is very much reflective on my Dad who always grew the most amazing Chrysanthemums and won many prizes with them. Gardening was his escape from daily farming and a whole section of the garden was dedicated to Chrysanthemums, as the blooms developed he lovingly covered each in a white bag to protect them from both early frost and rain. As an onlooker it must have been a strange sight but to us all totally normal. The blooms were always at their best in September and October so I always think of them as the Autum months arrive. Although this Penny Black stamp 4237K Awakening is not actually Chrysanthemums it always reminds me of them.......call it artistic licence, I have used distress inks sage, tea dye and barn door to sponge the background through a honeycomb mask and used the same colour distress markers to repeat stamp the flowers. And now for the lovely Penny Black Poinsettia stamp Christmas Star 4104K which I stamped and embossed in gold onto a background of Dylusions which I then bleached out and painted with Twinkling H2'0's. The sentiment randomly stamped is from the clear PB set called Christmas Cheer 30-140 and also in the background is some stenciling although I am far from impressed by the stencil. It's a music script stencil from Tando but to my mind it's back to front...........what I mean is the negative and positive elements should have been reversed as the notes just don't show up clearly, I even tried it on a full page and sprayed through it but all you really see are lines, so not convinced of it's usefulness as music ! I also have a second Autumnal card, this one a Chrysanthemum stencil from Imagination Crafts. The background has been randomly stamped with script and corners distressed, then copper paste added through the mask and after removing the mask I flicked gold perfect pearls over the wet paste and heat embossed. The paste resists the heat and makes it bubble and if you dab it lightly with your finger whilst still wet it gives a lovely mottled effect, when totally dry brush off the excess mica and gently buff up. And just the one more for Penny Black and More using two Penny Black Twirls 40-282 and A Wonderful Christmas 4116H and a Nicecrane Robin for the Victorian Birds collection to which I added some glossy accents to the wing and his red breast ad corners cut on the Cricut. I just wanted to show how these pre coloured images will work alongside favourite stamps for a really quick and easy card. 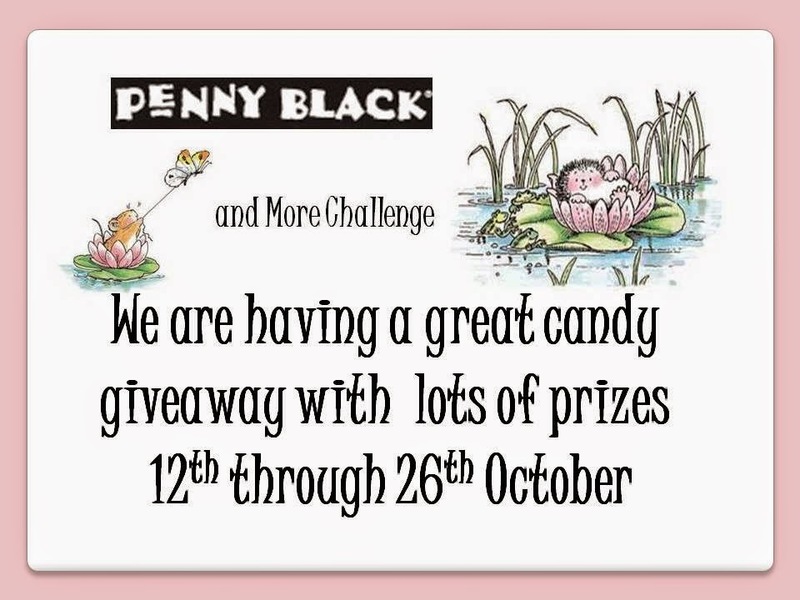 Finally and at the risk of you all getting bored to tears I would like to very quickly tell you that later this month we are having a great candy giveaway over at Penny Black and More with prizes from Penny Black as well as other goodies to be won. 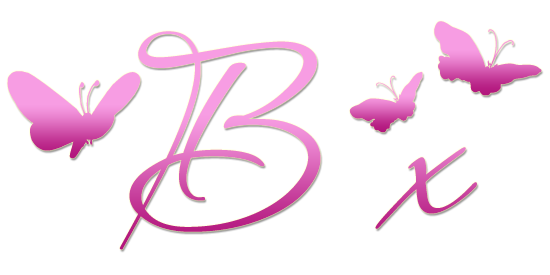 Here is the logo and I would be so happy if you would share it on your own blogs to help us spread the word. And of course join in our challenges this month ! Morning Peeps, it's Saturday so that mans a new challenge at Allsorts where Tracy has chosen the theme of 'Autumn', our lovely sponsors are Digistamp and Craft Fairy. I have to say that making Autumnal cards has to be one of my favorite passtimes as I love the warm colours so I have made two cards using the same stamps, just slightly different designs. Both the leaf and treescape stamps are from Clarity and the little scene has been created using Pan Pastels and in both cases masking to create the oval and borders. There's not much more to add really, I know lots of people find these single layer masked cards daunting but truth is they are really quick and easy to make, so if you are one of those reluctant people do give it a go. I did this technique in a class recently and several of the girls shared that reluctant but each and every one created a stunner and went away itching to make more. If you need any words of encouragement or help, just mail me. Embossing and inking, ribbons and pearls, this one is quite large at 10x10 with matching box. Hello Peeps, hope you all all OK and your week going to plan. My plans to share some photos of the cake I made for our daughter and hubby went out of the window as when I switched my camera on Saturday it showed a memory card problem. Luckily Alex had his camera equipment with him which meant I could get some profession photos taken (the couple I had taken were all lopsided), but he is on a shoot at Wembley this week so has not had time to process and send them yet. So until then thought I would let you have a look at some of the other cards I made for various family members to give them. Although I now have a new memory card the photos are none to special, I think I probably need to spend a bit of time setting the camera up again. This one is actually dark blue, although looks more black in the photo. Simple embossing and die cutting. A new nestie frame, stamped image and blossoms. Today is our own anniversary and tomorrow we are off for a couple of days spa break, a Christmas present which we saved for this week. 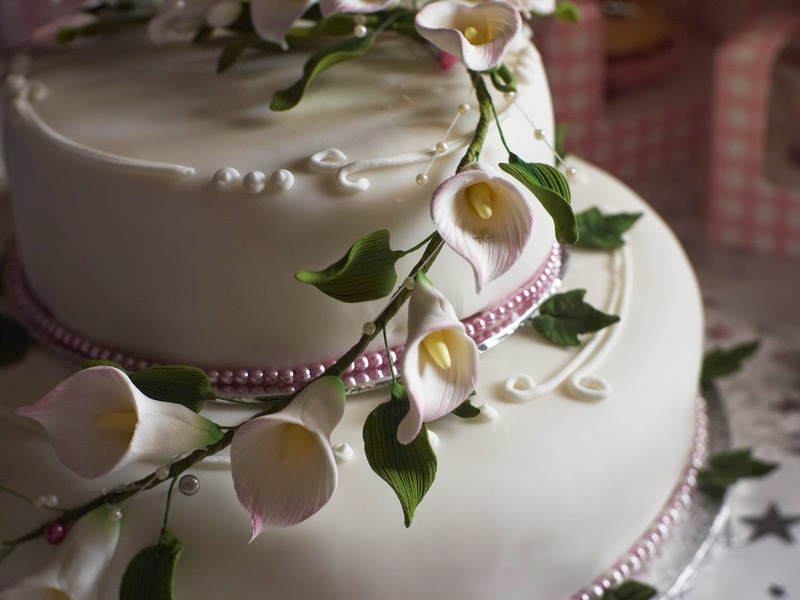 Thanks for taking a peek and will blog the cake photos as soon as they come through.